PerkinElmer Informatics Support FAQ: I tried the Activate over Internet option, but that did not work. How do I get an activation code? I tried the Activate over Internet option, but that did not work. How do I get an activation code? If you still have a problem getting the next page to open, download this file, and run it. The number that appears is your verification key. 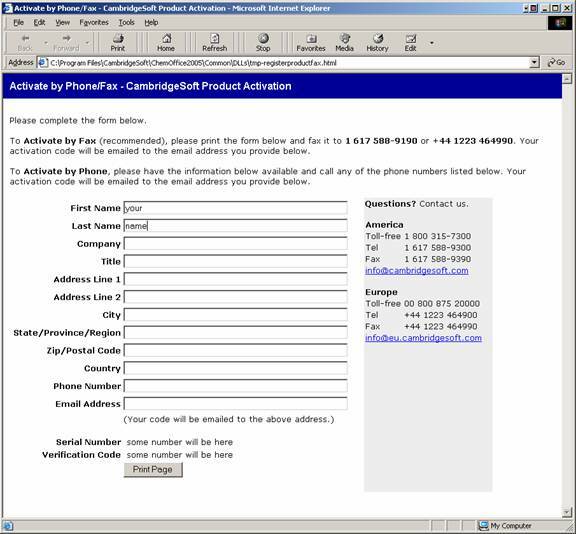 Fax or email this number along with your serial number, name, address, phone, etc. 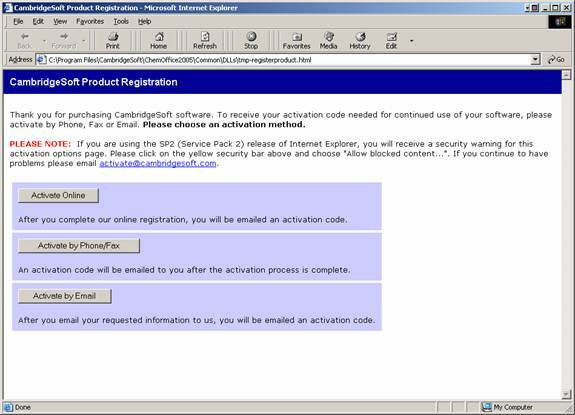 to activate @ cambridgesoft.com to get you activation code. 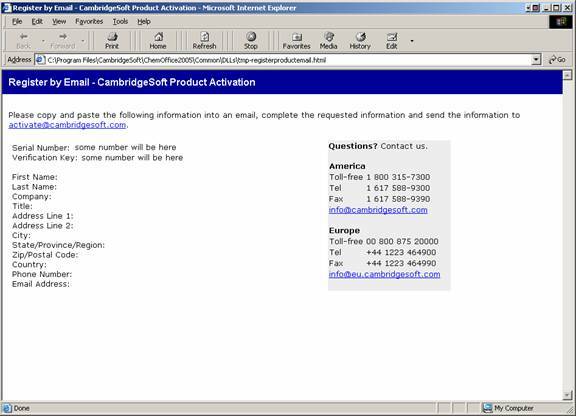 Please be sure to include ALL of the information in the page above from “Serial Number” down to “Email Address” in the email you send to the “activate” address. Incomplete submissions will not receive an activation code. 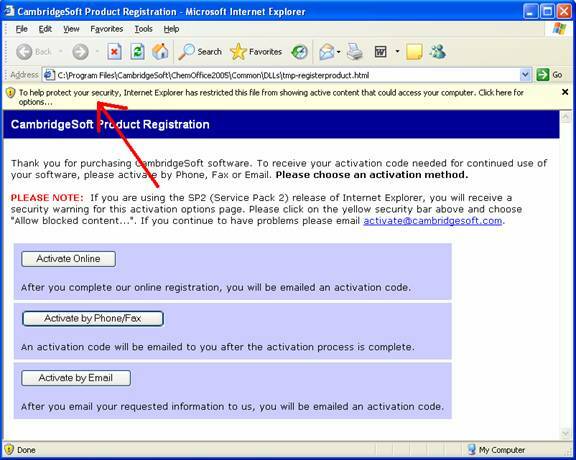 Your information will be processed, and a return email will be sent to you that includes your Activation Code.